With summer upon us, the temperatures are rising! What better way to cool off with your friends and family than by having a refreshing summer pool party? You don’t have to break the bank to make a splash with a memorable bash. In fact, with smart planning and a budget of $50 or less, your party can be the coolest event in the neighborhood. 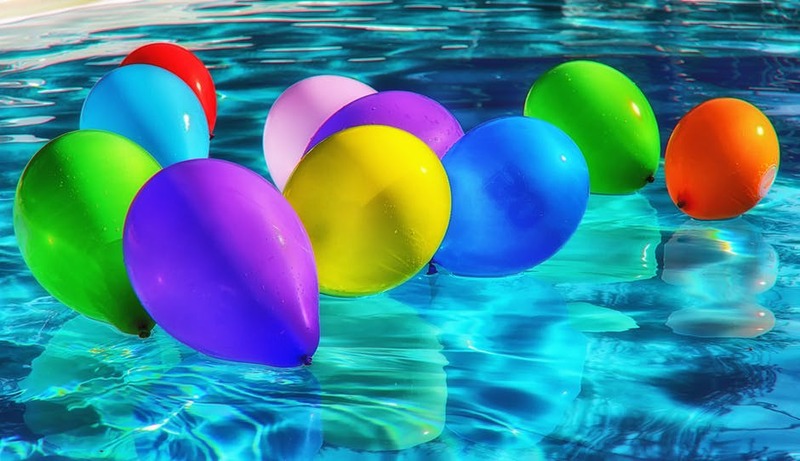 Here are some tips from our team at Aqua Spas & Pools to make your party a success. Is your party for adults, children or a combination of both? Carefully manage your guest list to maintain your budget and according to your party space. 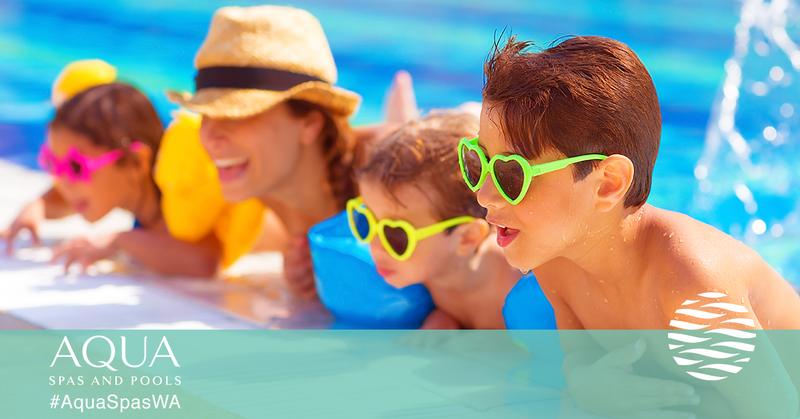 If kids will be at the summer pool party, ensure that enough adults are present to offer supervision for young swimmers. Save time and money by sending Eco-friendly invitations via e-mail. Keep party decor simplistic and shop smart by visiting discount supply stores or those who specialize in $1 items. You can often purchase balloons, crepe paper, colorful table cloths and much more at these discount retailers. Don’t hesitate to dig out holiday string lights to add pizzazz to your outdoor space. Inexpensive floral bouquets and even fresh veggies and fruits on skewers can be used to create fun, edible arrangements and serve as table decorations. Food and drinks can put a serious dent in your budget, but with smart planning and strategic shopping, you can pull off a summer pool party that delights your guests. Avoid buying pre-prepped foods such as veggie and fruit trays. Go for seasonal specials and opt to cut up creative veggie and fruit trays yourself to curb costs. 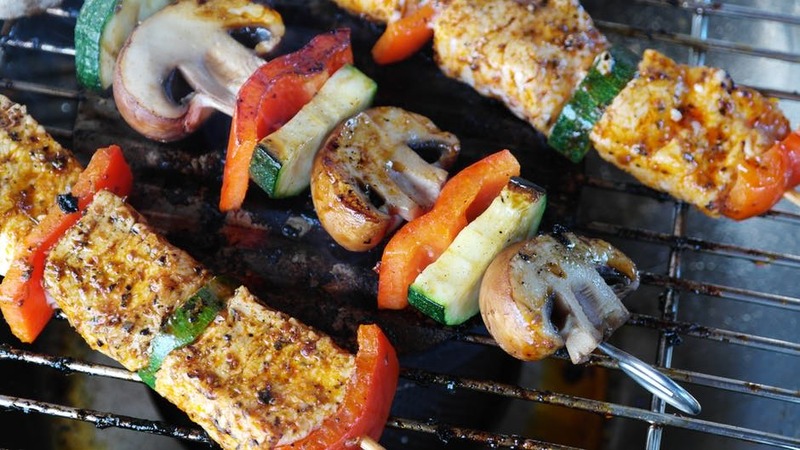 You can forego the appetizer spread and stick with inexpensive pool party fare such as hot dogs, burgers and veggie skewers on the grill. Drinks—particularly alcohol—can drain your funds fast. However, there are ways to save money on beverages. Provide ample pitchers of ice water, sodas and juices for guests, but include the letters ‘BYOB’ on your invites, so adults can bring their own libations. Another way to save a bit of money on food and drink expenses is to avoid buying paper plates, cups or plastic ware. Instead, use resilient dishes from your own kitchen. There are quite few fun swimming pool games that require no special equipment to play. Games like sharks and minnows or Marco polo are excellent choices. Consider balloons, balls, and foam noodles that you likely already have to enjoy in the pool and create your own games. Drop coins or other heavy, waterproof items like batons into the bottom of the pool for guests to dive and ‘compete’ for. However, around the pool, both adults and children have a tendency to entertain themselves, so even just some festive music can serve as ample entertainment for your summer pool party. Keep guest counts to a minimum. Minimize decoration purchases and use what you already have on hand. Strategically plan food and drinks—call your party a potluck or BYOB gathering. Fun and games don’t have to cost a dime! Let your pool be the center of attention with creative endeavors to keep guests entertained. Last but not least, take time the day prior to your get together to properly clean the water and balance pool chemicals so guests will be comfortable in the water. Need Pool Services, Repairs or a New Construction? If so, contact our experienced team at Aqua Spas & Pools today to learn how we can help you with everything from custom pool additions, spa installations and much more.